The course starts by demonstrating how to display primitive objects, and then progresses to loading and creating more complex geometry. By the end of the week, you will be able to create, navigate and interact with a textured, animated, multi-user virtual world. 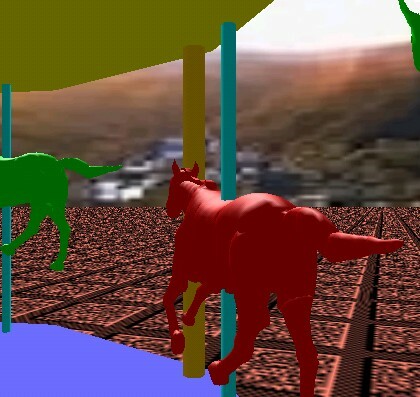 The example images are from a fully-operational virtual funfair developed in conjunction with San Diego State University. The price is $2445 per person.